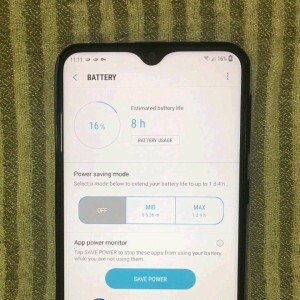 A self-professed long-time Samsung user and member of the Samsung Community forums was given a Galaxy M20 to review and they did – publicly. Summed up in two words, the conclusion is “battery matters”. The Galaxy M20 (and Galaxy M30) will have a 5,000mAh battery. A 45 minute gaming session didn’t drain much of the battery and it reportedly charges back up pretty quickly. The phone has a USB-C port on the bottom, though there's no word on what kind (if any) fast charging it will support. 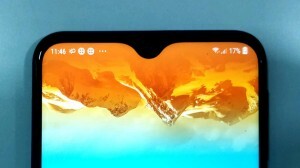 The user reports that the 6.3” Infinity V display – one with a waterdrop notch – made using the device feel “fresh”. Despite launching with Android 8.1 Oreo, the phone will use Samsung’s new One UI (which is currently reserved for Galaxy phones on Pie). Okay, the post is full of superlatives, so this might not be the most unbiased review of the phone. The Samsung Galaxy M20 (and other M-series phones) will be unveiled in India next week, we’ll hope to get more on the phones then. The M20 is expected to cost INR 11,000 ($155).